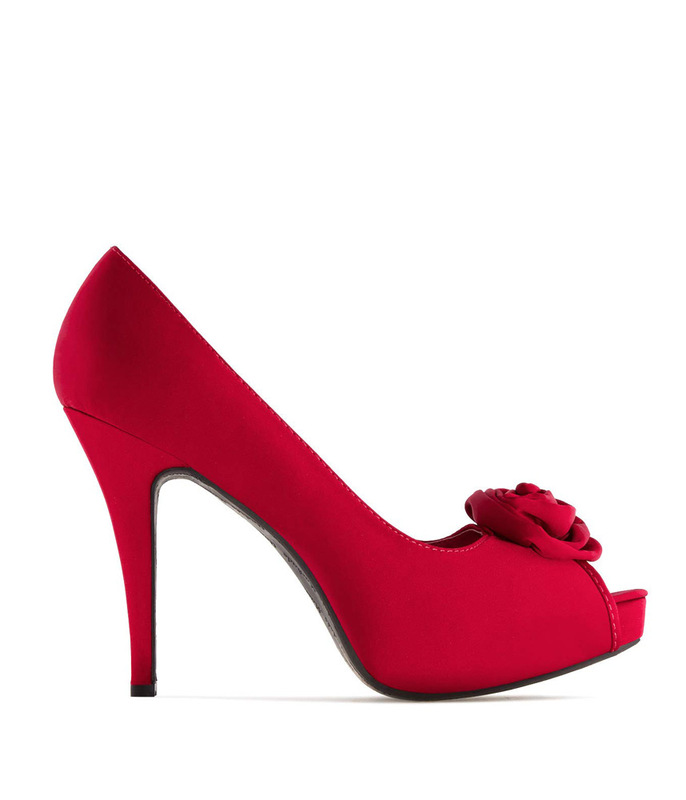 Stylish Slingback Platform Peep Toe Sandals in Red suede with ankle closure. 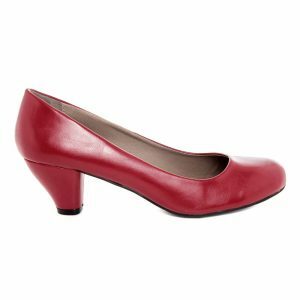 This shoe has a 2 cm front Platform and a retro 12.5 cm square heel. Large size Peep Toe Sandals and shoes for ladies size 9, size 10, size 11 and 12 (UK), in 43, 44, 45, 46 (Euro) and in sizes 11, 12, 13, 14 (US). Fashionable, Elegant and Beautiful ladies Sandals and footwear for larger size feet. SKU: AM242 SATIN ROJO Categories: Bright Picks, LaterSale, Party Wear, Vamp it up! 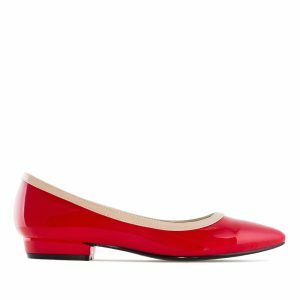 Very stylish shoes in red satin, open toe. Topped with a flower of the same satin on top. Inner platform and covered heel, 11 cm high heel.